I have always believed that brining 3D to consumers could only work without the need for dedicated depth sensors. This pure-software approach is already being embraced for Augmented Reality with Apple’s upcoming ARKit and Google’s ARCore which was announced last week. Both can give modern smartphones AR-capabilities by just using the regular camera(s), instead of using dedicated sensors like Tango. But those efforts mainly focus on viewing 3D content. What about capturing reality in 3D? Microsoft showed an impressive 3D Capture demo last year but it’s unclear when that cross-platform app will ever see the daylight. But yesterday, at IFA Berlin, Sony announced its latest smartphone, the XZ1. 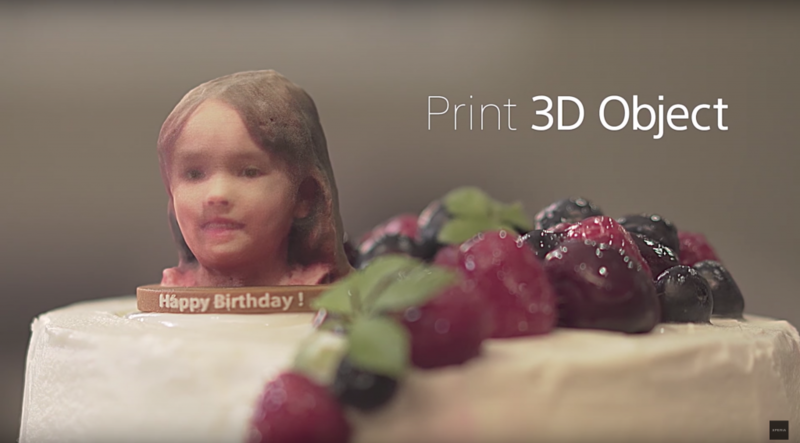 Which has all the bells and whistles you expect from a flagship Android phone but also an app called 3D Creator. It basically does exactly what Microsoft showed last year, but is actually available — albeit exclusive for the XZ1. So it’s actually Mobile Photogrammetry technology, accelerated by real-time feature tracking and progress guidance — both very needed to introduce newcomers to 3D scanning. 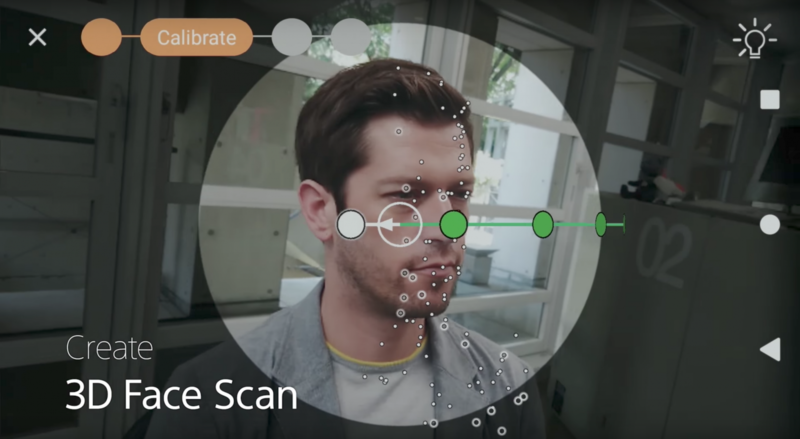 This is not a new approach since it’s present in the TRNIO 3D scanning App for iOS and a tech demo from Seene which was acquired by the developer of SnapChat last year. But it’s the first time this technology is really made available to consumers, complete with a dedicated product page about 3D capture instead of the strict AR-focus we’ve seen with other brands and devices — I like. Keep in mind though that the “High-Resolution 3D Images” promised on that website relate to the textures shot with the XZ1’s 19MBP Motion Eye camera, which are overlayed over low-poly geometry. I found this example on Sketchfab which shows the result in non-marketing-video circumstances. 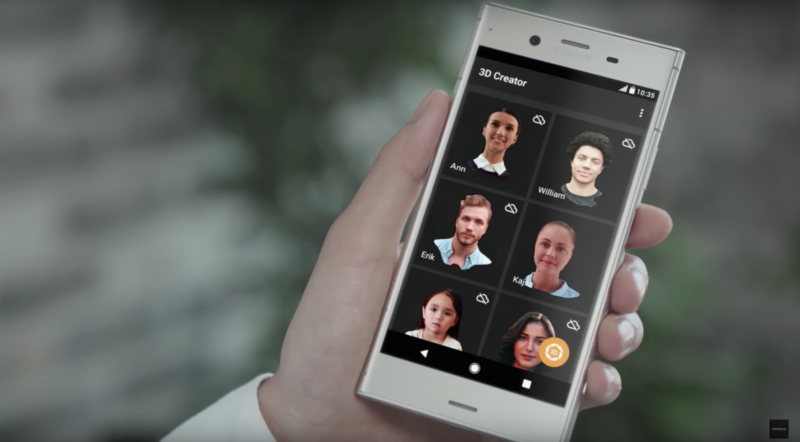 It’s apparently captured with Sony’s lower-end XA1 phone, which could mean 3D Creator will be available on more devices. You can put the embed above in MatCap render mode (by using the gear icon) to see the geometry. As you can see it’s pretty basic but that doesn’t really matter. Actually, for purposed like 3D avatars low-poly geometry increases compatibility with mobile 3D games and mobile VR/AR applications. Personally though, I was hoping for a little bit more geometric detail, which would have made the 3D models usable for more purposes. On the bright side, when Sony designs consumer solutions they always look good and are easy to use which is a lot more important than scan quality for brining 3D capture to the masses. The Sony Xperia XZ1 will be available in the US on September 19th and the XZ1 Compact on October 4th. I’ve reached out to Sony for a review model of the XZ1 and hope to be able to review it for you when I’m back from a well-deserved holiday in Greece. Follow me on social media to be the first to know when that review is live. Not bad results at all. You didn’t mention the processing time required for such high res camera photogrammetry, which would be very long on a mobile phone, and just plain long on the cloud. It’s not surprising that Sony’s depth sensor model of Alban has even less 3D information than the 2D photogrammetry model, even though the depth sensor acquires 3D geometry directly. The Sony 3D sensor isn’t very good at extracting that third dimension, though the depth sensor data would be reconstructed into the 3D mesh faster than the 2D only photogrammetry. Overall, however, I disagree with your comment. While it would be swell for 3D to magically pop out from 2D only camera(s), it’s not going to happen. There will need to be an active depth sensor working with 2D imaging sensors to pull off AR/VR/3D/ etc… it’s just the way it is. Machine learning won’t break this constraint, that’s my prediction.